Podcast Interview on the Artist/Mother Podcast! Added on February 18, 2019 by Denise Gasser. I am so thrilled to announce that I had the opportunity to be interviewed on Kaylan Buteyn’s brand new project, the Artist/Mother Podcast! I loved talking with her and having a chance to open up about my journey as an artist/mother. Check it out here, or find it wherever you get your podcasts, and let me know what you think! Added on June 27, 2018 by Denise Gasser. One of my life-long art dreams literally just came true!! 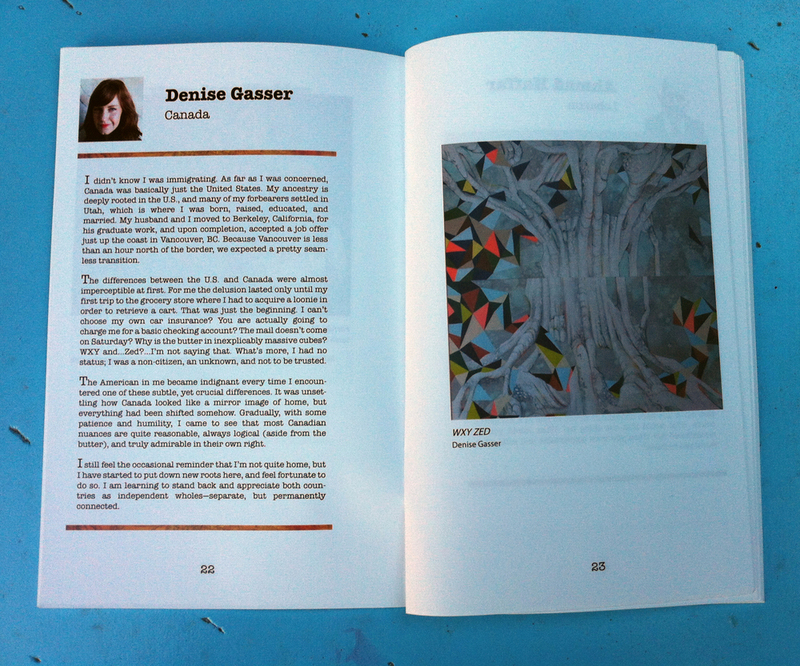 Danielle Krysa, AKA The Jealous Curator featured my work on her blog! I admire Danielle so much, and have followed her for years! To have her take notice of my work and actually post about it was HUGE for me. She shared my Art After project, as well as my Stanley Park series. "She is an artist and a mother of three little boys, which begs the question: WHEN DOES SHE HAVE TIME TO MAKE ART? Well, she kinda doesn’t at the moment… but that hasn’t stopped her. Denise embraced her lack of time and abundance of interruptions by creating this series titled “Art After”. Please, please, go check it out here! 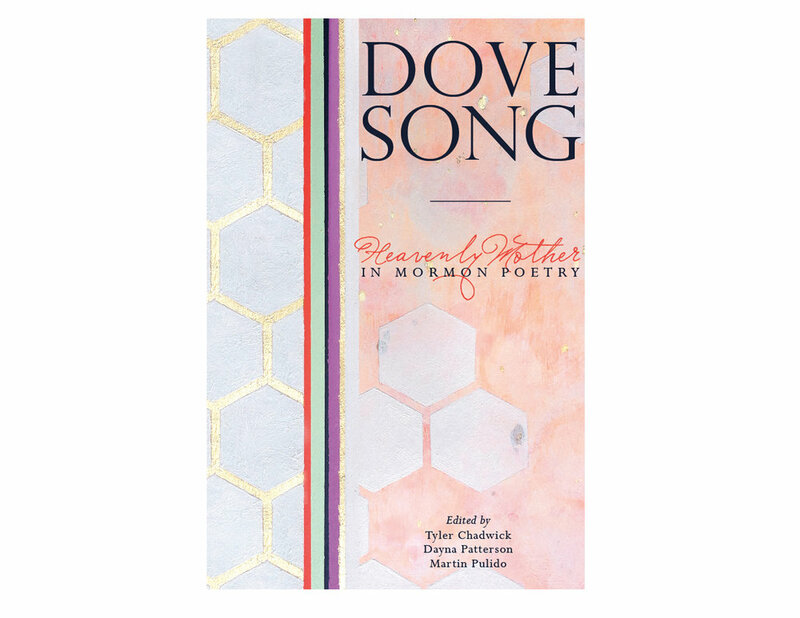 When the publisher of Dove Song: Heavenly Mother in Mormon Poetry asked to use my artwork on the cover, I was completely honored and happy to oblige. My Geometric piece, Compression, worked perfectly as the cover. I was so happy to collaborate on this project! The book is available here if you are interested! Added on June 25, 2018 by Denise Gasser. Talking about art and motherhood is one of my very favorite things, so I was very excited for the opportunity to talk with Jenna, a lovely artist who runs the Instagram account Artist Meets Mother. I really enjoyed taking time to engage in a discussion of topics that mean so much to me. Here's a short excerpt: "I have described this [being an artist mother] before as running in waist high water. My mind is moving a hundred miles an hour, I have all of these ideas and goals and plans and no matter how hard I push, I just can’t seem to get there. I can’t move forward with any amount of speed or clarity. This phenomenon is very frustrating at times, but I am learning to be okay with a slower pace, and to appreciate the strength I am gaining in the process. Added on April 26, 2018 by Denise Gasser. I had such a nice time working on this lovely interview! "What some artists accomplish in a day, might take me a month…but a month is better than never. I am learning to be patient, and flexible when determining my markers of success. In short, stay focused on what you want, prioritize your time, be patient, be kind to yourself, and recognize the beauty and growth that is happening along the way." Added on August 31, 2016 by Denise Gasser. "I want my art to always be grounded in beauty. I try to draw people in, and allow them to experience my work in a way that is meaningful to them, without necessarily forcing any particular idea or experience onto them." Added on August 30, 2016 by Denise Gasser. I am taking part with a group of 30 artists in a show entitled [un]Finished. The show will be up from August 1st to September 9th. I'll be at the opening reception August 12th starting at 6:00pm, hope to see you there! [un]Finished is a group show that invites viewers to consider the sometimes tortuous path an artwork may take from conception to completion. We invite artists to relinquish some of their well-intentioned false starts, allowing them to take new life and new direction at the hands of another artist. Each participant will provide two unfinished pieces, which they will allow a fellow artist to complete, while also receiving two unfinished works to be completed for the exhibit. Both artists will receive credit for the finished work. Added on January 10, 2015 by Denise Gasser. Last year I was juried in as a member of the Federation of Canadian Artists. I'm still figuring out exactly what that means! ha ha! The part I'm most excited about is the plethora of juried exhibitions they hold each year, and many of them are open to members only. I hope to take full advantage of my membership and make some good connections! I have a piece in the Active Member Exhibiton this January! Check it out if you can. Added on October 1, 2014 by Denise Gasser. Added on September 30, 2014 by Denise Gasser. I have never been on the front page of anything, aside from my own website. I just created a new and very exciting partnership with a fantastic company called Plaidfox. They specialize in high-end furniture and home decor. I created a series of original geometric paintings to be sold on their website exclusively. It was awesome to open their site and see my work and my face. I snapped a picture of the screen with my phone to always remember my moment in the spotlight:) They also included an interview, but I'll post about that later! Such a cool opportunity for me!! Added on September 15, 2014 by Denise Gasser. This exhibition is all about shedding a positive light on Immigration. Each artist created a piece to represent an immigration story...whether their own story, or otherwise. At the show the artworks are paired with the actual story. It's a great concept for a show, and curated by a friend of mine, Namon Bills. I took a slightly more humorous approach and decided to represent my own immigration to Canada from the United States. Too bad I couldn't be at the opening. Utah is a bit too far from Vancouver:) The piece I created is called 'WXY...Zed'. You can see it on my website in the section Tree Portraiture. This is a shot from the exhibition catalog of my piece and accompanying story. Added on July 20, 2014 by Denise Gasser. This studio in Toronto is putting on such an awesome exhibition. I love the premise. Artists submit tiny works of art that or no larger than 4x4 inches. After the show comes down, the curators will mail a different piece back to each artist. So it's like an exhibition/art trade. Fantastic! I'm so excited to be part of it...can't wait to see which piece I get in return! Added on February 27, 2014 by Denise Gasser. I was interviewed by an online magazine that features Mormon artists! It was such a great experience. Seeing as how I'm an artist, and I'm Mormon, it was a perfect fit:) Follow the link to read the full interview! Added on October 4, 2013 by Denise Gasser. If you want to see thirty feet worth of tree paintings, head over to the beautiful Gallery at Hycroft. My work will be there for the whole month of October! Opening night was a big success...big turn out, good food, lots of fun. So excited to be showing there! Added on January 10, 2013 by Denise Gasser. One of my pieces got accepted to a group show in the Annual Discovery Exhibition at the Seymour Art Gallery. I was so excited to show my work again! I hadn't applied to a show for a few years, so I was pretty nervous and figured I probably wouldn't get accepted. Not only did my piece get accepted, it got the top award of the show, The Carole Badgley Emerging Artist Award, and a cash prize. I was totally shocked, and, of course, delighted.